Located in the San Francisco Bay Area, McCampbell Analytical, Inc. (MAI) offers a full range of analytical testing services for drinking water, waste water, storm water, as well as metals testing, soil testing, volatile organic compounds (VOC's) testing, hazardous waste, industrial materials and food analysis for a wide variety of chemical compounds including organic, inorganic and metallic contaminants. For over 25 years, MAI has been providing excellence in quality and service, utilizing a highly trained team of chemists, environmental specialists and staff. Our state of the art laboratory equipment, coupled with our redundancy of instrumentation, ensures excellent data quality and successful completion of large projects. McCampbell Analytical, Inc. is an independently owned, Small Business Enterprise that is California State certified by the Environmental Laboratory Accreditation Program, certification #1644. 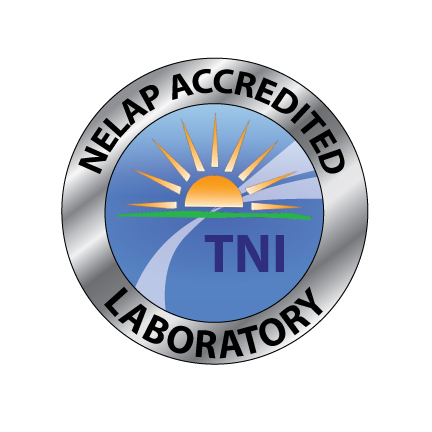 In addition, we have State certifications from Oregon and Hawaii as well as National Environmental Laboratory Accreditation Program (NELAP) certification. Our superior customer service and unparalleled technical excellence ensures that you receive complete and accurate data in a timely manner. We are proud of the quality of our work, and invite you to become our client and colleague. Our goal is to serve you with excellence, from sample receipt to report delivery. If we can be of service, or if you have any questions, please contact our knowledgeable staff at 1-877-252-9262 or drop us an email. Are you looking for a lab to perform Water Suitability Testing? Our ELAP accredited microbiology department is highly proficient in the complex procedural steps and rigorous cleanliness that is required in order to perform Bacteriological Water Quality Testing (per SM9020), quickly and reliably. MAI is an excellent choice for Nitrate testing and helping you with the new drinking water well monitoring requirements, that began Jan. 1, 2019, per the Central Valley Waterboard Irrigated Lands Regulatory Program (ILRP). We are now an accredited Better Business Bureau organization. Congratulations to the MAI team for attaining AIHA-LAP Laboratory Accreditation! We have made improvements to Semi-Volatile methods 8270 and 625 using SIM-Scan technology. Screening a compound list with specific regulatory limits can be challenging. MAI has created a comprehensive acquisition method using the dual SIM and Scan capability of our GC-MS systems. As part of our ongoing efforts to improve and innovate, we are pleased to announce the roll out of our new Client Portal. Now you will be able to access data 24 hours a day as well as download EDD's, access archived information and much more. MAI is excited to announce our improved analytical method for organic lead. Powered by the technical advances of the GC Triple Quadrupole Mass Spectrometer (GC-MS-MS), we are able to screen to lower detection limits with added selectivity compared to our superseded GC-MS single quadrupole method. Did you know that MAI offers Accredited Methods for Aquatic Toxicology? Follow us on our new LinkedIn page. MAI's R&D team has made significant improvements to our pesticide analytical methods in order to achieve reporting limits below SFRWQCB 2016 ESLs, remove matrix effects resulting in higher accuracy and undiliuted injections and increase productivity by reducing instrument downtime due to restoration. McCampbell Analytical, Inc. now offers DTSC required test methods for used oil which include total halogens, PCBs and flash point. 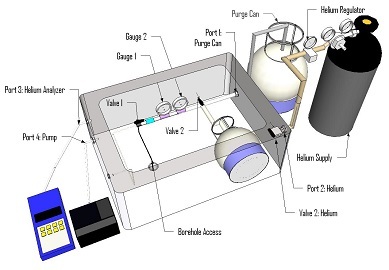 MAI has also added sulfur analysis in petroleum products via XRF. McCampbell Analytical, Inc. is proud to announce that we are an approved lab for UCMR4 Testing. Please contact us at 1-877-252-9262, or drop us an email for more information. Our XRD/XRF department is back up and running. X-ray Diffraction (XRD) is the only analytical technique that can identify compounds by their own unique structure. Use it to solve your technical problems. We are very excited to announce that MAI has been selected to receive the prestigious Crosby Field Award as co-authors of “Examination of the Reactions of R40 with R134a and POE Refrigeration System Materials”. This award is presented by ASHRAE, annually, to the authors of the highest rated paper presented at a Technical Session for the Society year. The award presentation took place at the Society's Annual Conference in Long Beach, California, on Saturday, June 24, 2017. MAI offers hazardous waste characterization (Title 22 CCR), acute & chronic whole effluent toxicity testing methods and product testing methods. The DTSC recommendation to use gaseous leak tracers for Soil Vapor sampling such as Helium makes McCampbell Analytical the “Go To” laboratory for Soil Vapor sampling. Click here to find out more about our Helium Shroud.